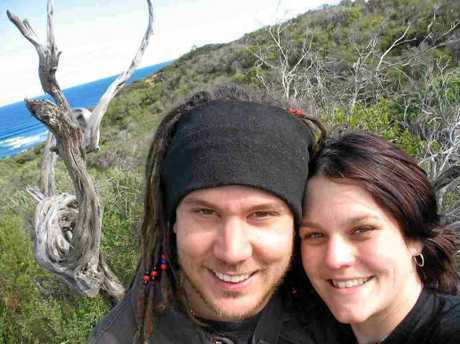 IT has been 12 months since Rockhampton doctor Frith Foottit's death rocked the Central Queensland community. 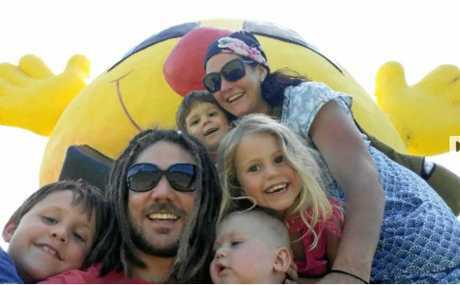 The father of four left behind children Chance, Darby, Quinn and baby Julius and wife Renae on New Year's Day. 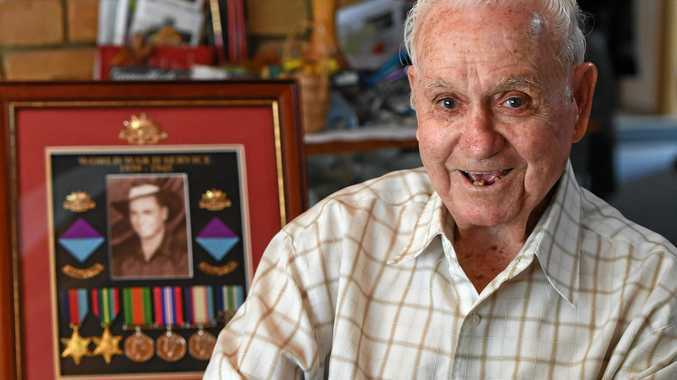 The initial story and tribute from his wife Renae was one of the top 10 most viewed stories online on The Morning Bulletin website for the year. The Morning Bulletin caught up with Ms Foottit to chat about life without her beloved husband. "It's nice that our story has touched so many people, and that it got shared a lot," she said. "He did always want to be a rockstar." Many tributes of lives he touched flowed in, from patients he had to colleagues who said he was inspirational and could make light of any situation. 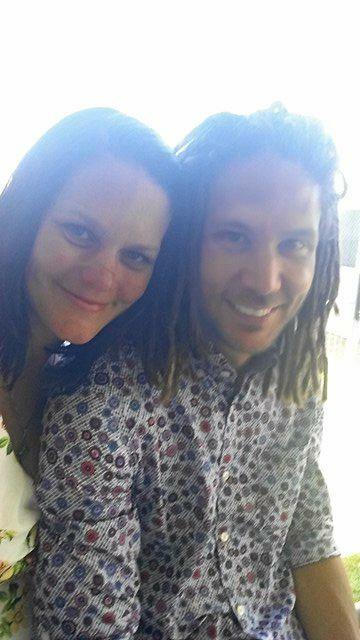 "People who had only met him once were passing on their love and best wishes," Renae said. "And I got to read so many stories about him that I'd never heard which was so beautiful. "He was a memorable person, and I know even if you only met him once, he was hard to forget. "He always had time for people, and I know people appreciated that. "We made a lot of wonderful friends in Rockhampton, in and out of the hospital, so a lot of people really felt the pain when he died." Ms Foottit says life feels "just so strange" without him. 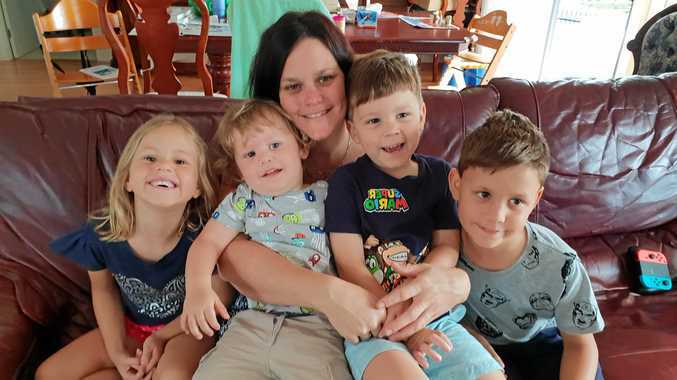 In the first few months after his sudden death, she was so busy with paperwork and moving to Brisbane to be with family, enrolling the kids in school and sorting out the financials, that she didn't have time to process anything. "Now that life has slowed down, I'm able to work through it all a bit more with a psychologist," she said. "I'm very lucky to have a wonderful network of family and friends down here that have gotten me through so far. "Kids are honestly so resilient.... We speak about him often, so he's never far from our thoughts. "I think they are at an age where they are somewhat protected from the enormity of what has happened." In a previous story by The Morning Bulletin, Ms Foottit openly spoke about her husband's death. "I know many of you are wondering about the circumstances surrounding his death, and I don't want it to be taboo," she previously said. "I don't know all the details; no one does, and we never will. "What I know to be true is that Frith took his own life. Something got the better of him and in a moment of drunken madness, he made a decision. "It's hard not to speculate about this and that. It's hard not to ask the 'why' and 'how did this happen' questions. "It's hard for us not to wonder if we could have done something. "Even though he was never diagnosed, I believe Frith suffered from some depression but I thought that since we talked so often and openly about everything, that was enough." Reflecting on this, Ms Foottit said when it comes to losing someone to suicide, "there are no rules". "Also reach other to others who have been through something similar. 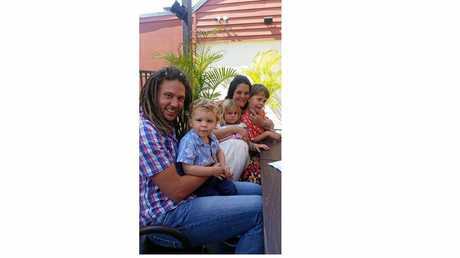 I am now very close to Sue Bryant whose husband Dr Andrew Bryant died by suicide in May 2017," she said. "She has been an amazing support to me and has been incredibly honest about Andrew's death from the start. "That gave me a lot of strength in the early days and weeks at the start of last year, giving me courage to speak up about how Frith died and not being ashamed of it." More than $45,000 was raised in an online fund, from 327 donations. "I was just so touched by people's generosity.... There were donations ranging from $5 to $1000.... It absolutely blew me away, and gave me financial independence for most of the year which was such a gift," she said. "It really made me realise how quickly $20 and $50 from a few hundred people can add up. "Thank you again to everyone who supported me this way.... Most of you I've never even met. "I used the money to pay off a few bills and basically just live off for as long as I could." For those who have a loved one you believe may be suffering, Ms Foottit offered some advice. She said providing a safe place for people to say how they are really feeling is important, so then more help can be provided. "But I really don't have any answers.... Frith was such a complex character, and even though he had friends who had experienced breakdowns and depression, one who was a doctor and a good friend through uni who got help, it seems he still didn't feel he could reach out," he said. "He cared so much for others, and had real empathy for people who had a mental illness. "I just think that sometimes people seem to make very drastic decisions when they are in a dark place, and it's not a matter of wanting to leave, more so that they want the pain to go away."